Inaugurate your own Digital Shakha today, Boost Your Business! ‘Digital Shakha’ is a term coined by the Global Gems and Jewelry Marketplace called Jewelxy.com, which literally translates into ‘Digital Branch’ from the language 'Hindi'. Unable to find the right platform to showcase products & Services? Limited scope of discovering trustworthy Buyers and Sellers Network? Struggling in marketing your business efficiently and economically? 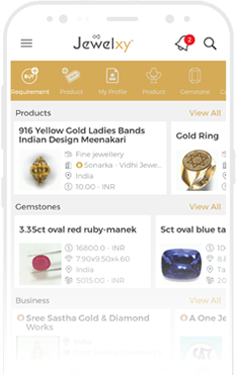 Jewelxy, a comprehensive Industry specific Gems and Jewelry marketplace. It’s first of its kind, a commission free B2B, B2C and O2O online to offline marketplace. Are you ready to explore the new dimensions of growth? Inaugurate your own ‘Digital Shakha’ today!